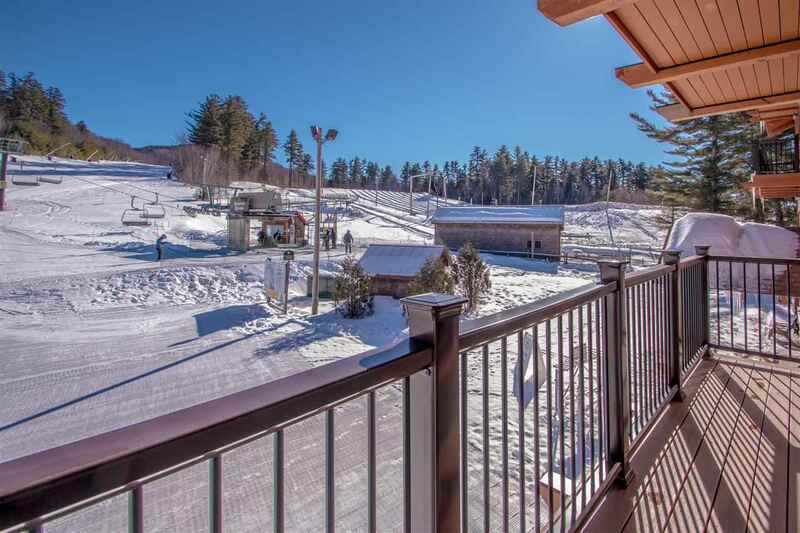 LUXURY SLOPESIDE LIVING & VIEWS! 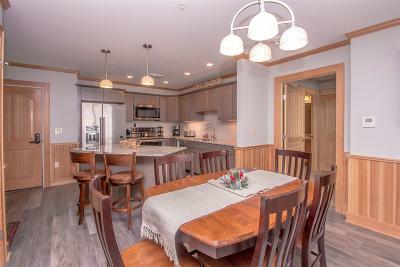 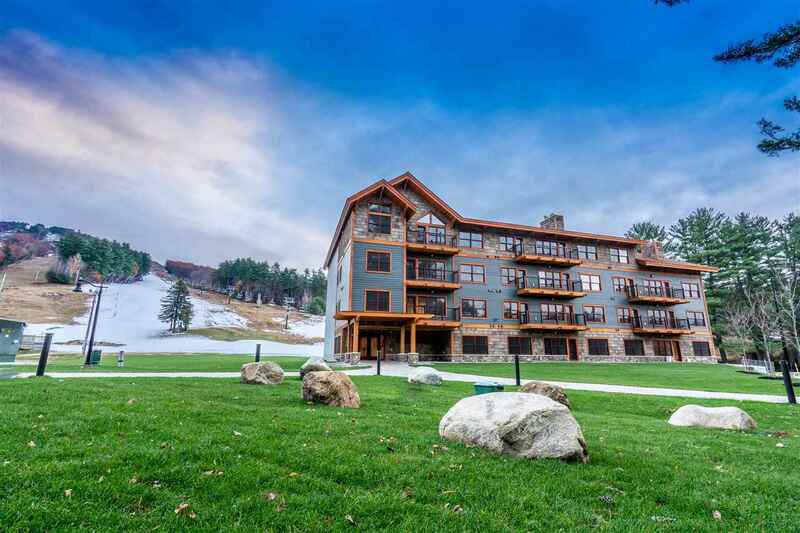 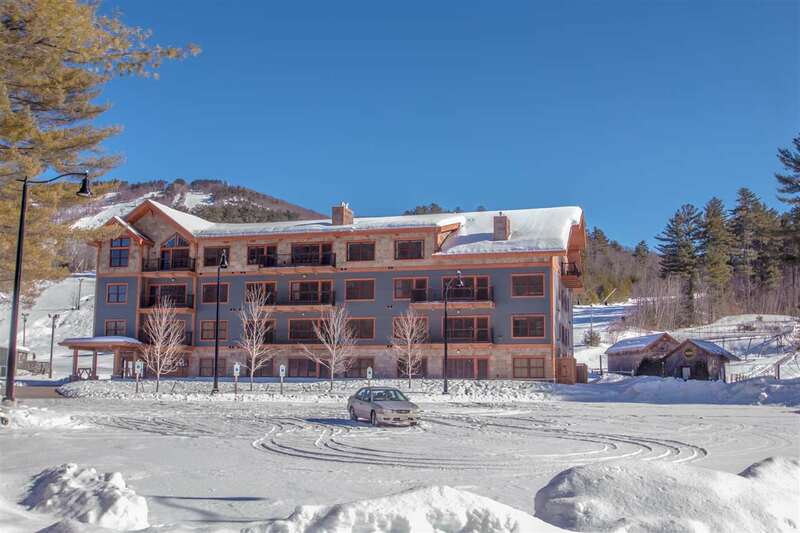 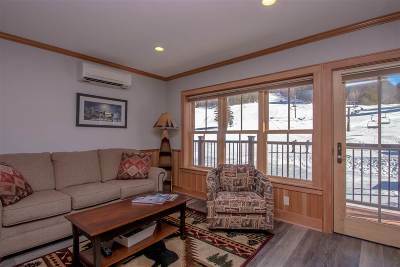 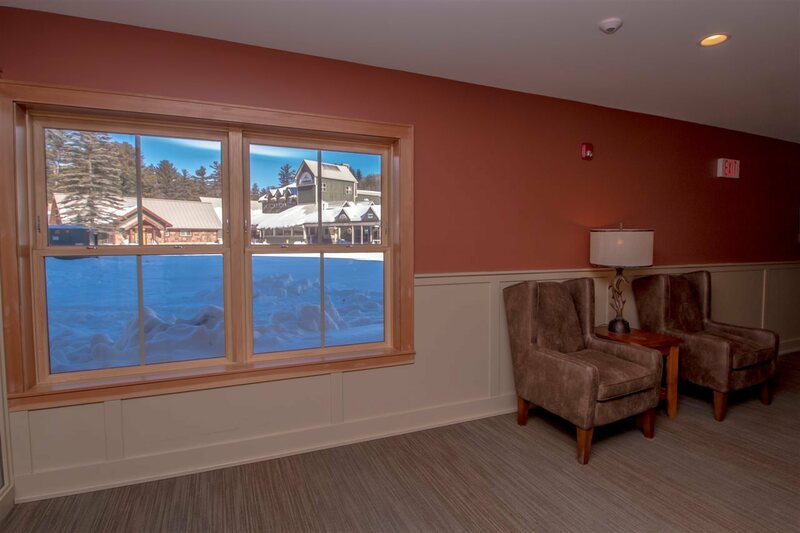 Own a sophisticated Kearsarge Brook condominium 2nd floor with mountain facing views. 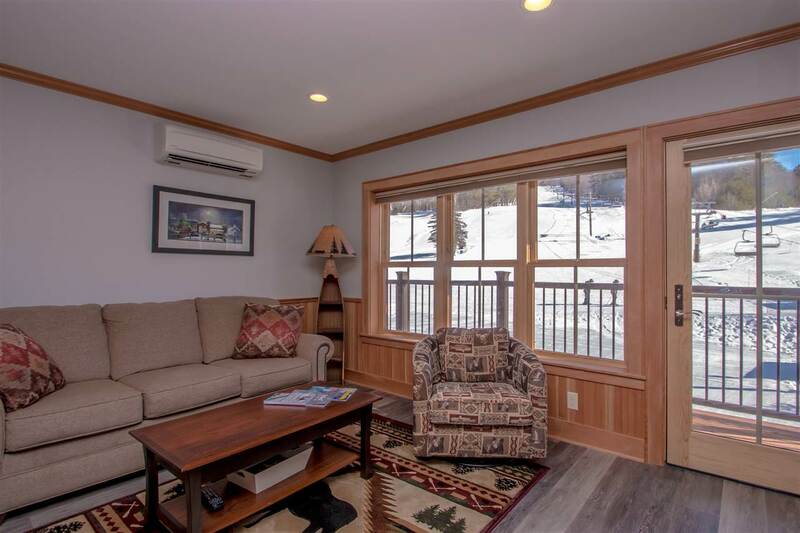 2 bedroom & 2.5 baths w/ great views up the mountain. 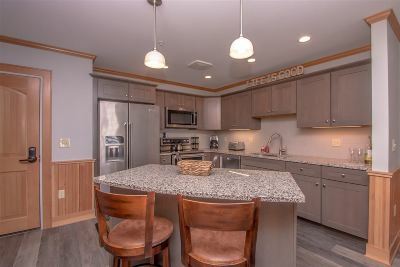 Wonderful morning sunshine streams into this spacious 1219sq' garden style space boasting of gorgeous kitchen, stainless appliances, granite counters and a center island breakfast bar. 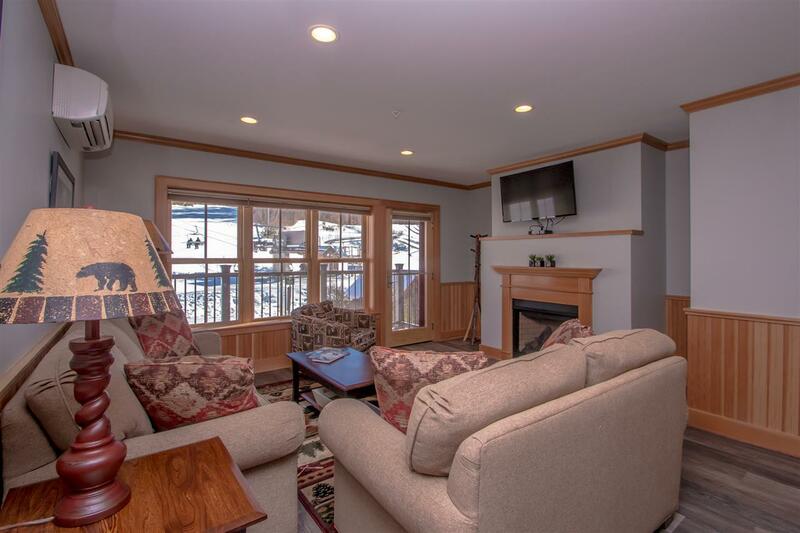 Open to the dining & living room w/ gas fireplace, luxury plank flooring and a 19' balcony overlooking the ski trails. 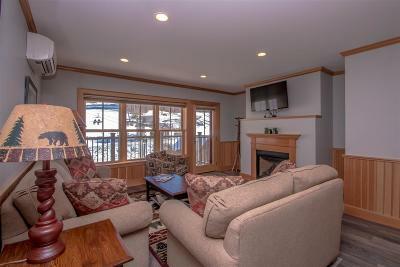 2nd access on to the balcony l from the luxurious large master suite. 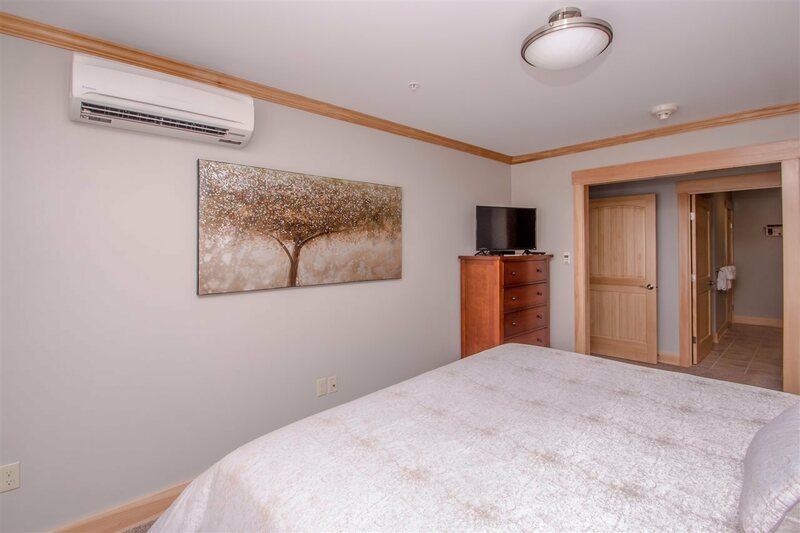 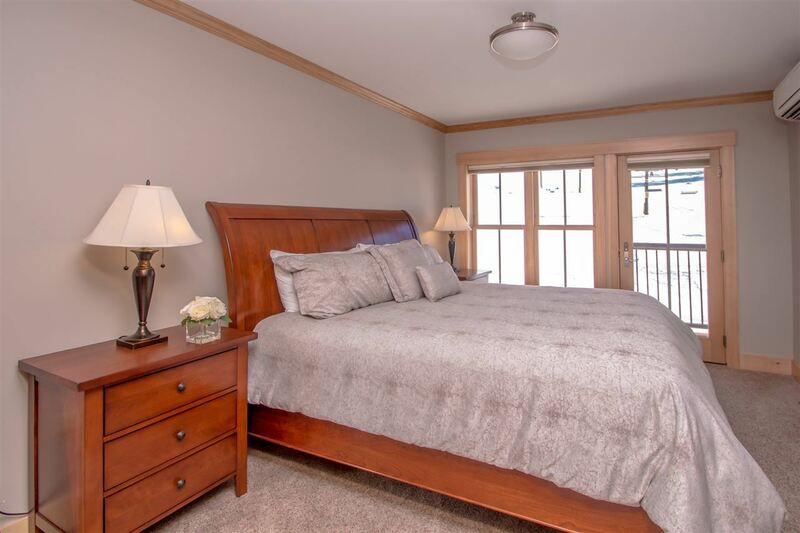 The 2nd bedroom is on opposite ends and can be locked off to create an efficiency unit with its own kitchenette, sitting area, bedroom, full bath w/ separate entrance from hallway. 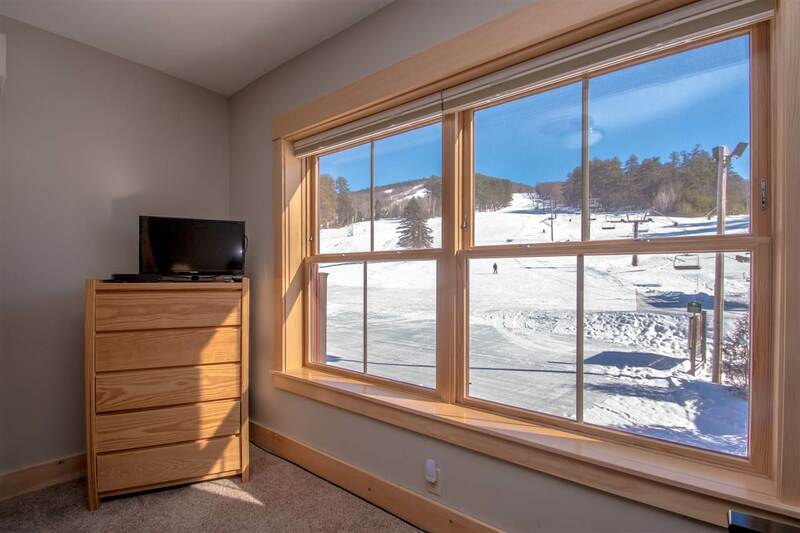 This space also has a gorgeous view of the slopes too and can be rented or used separate from the main space with its lockout feature so you can use/rent 3 different ways. 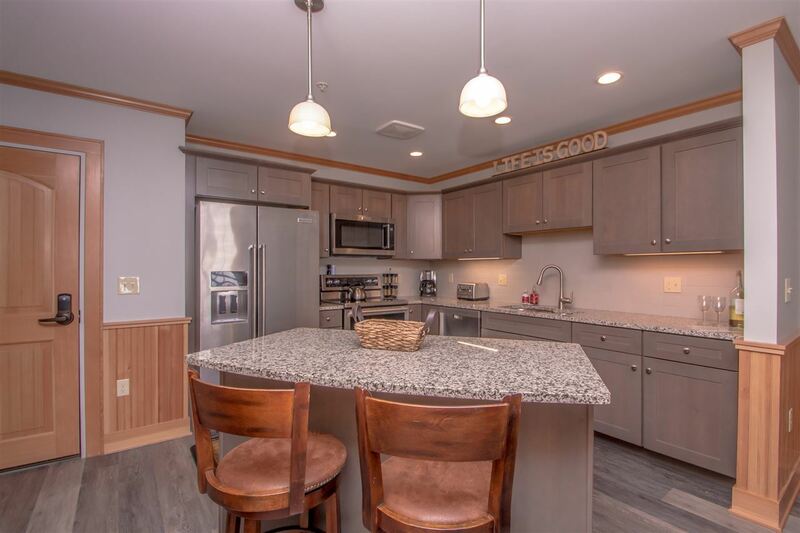 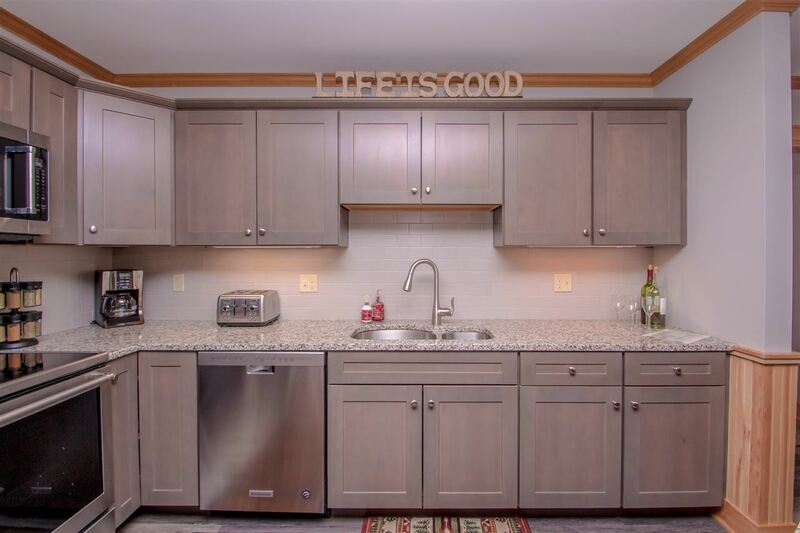 Coat closets, Â½ bath & laundry complete this almost new fully furnished turn key condo. 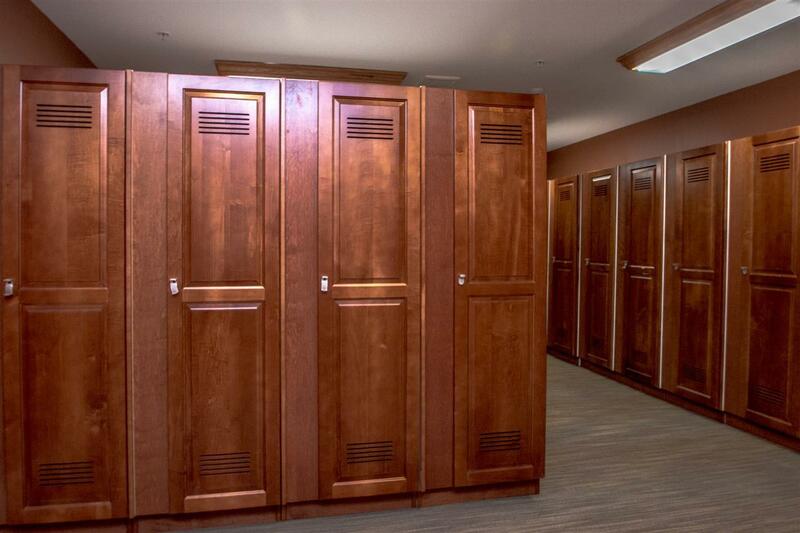 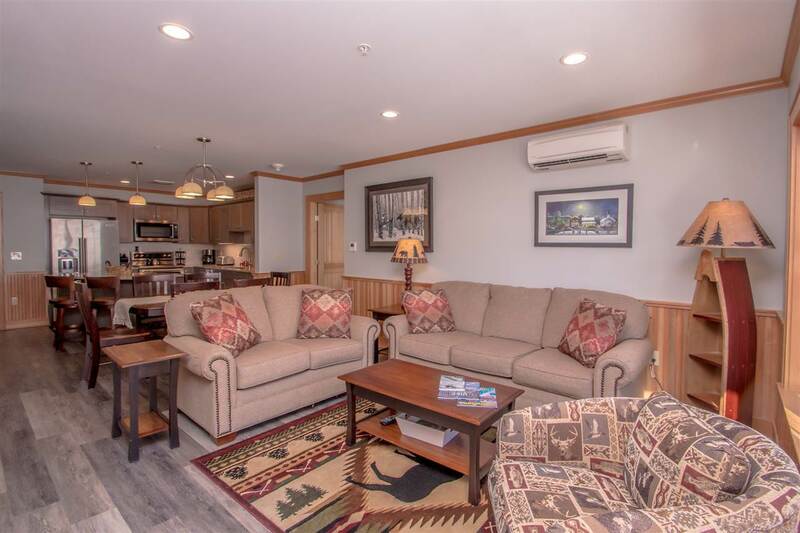 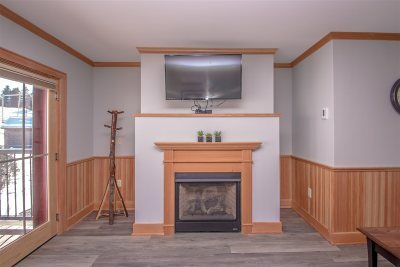 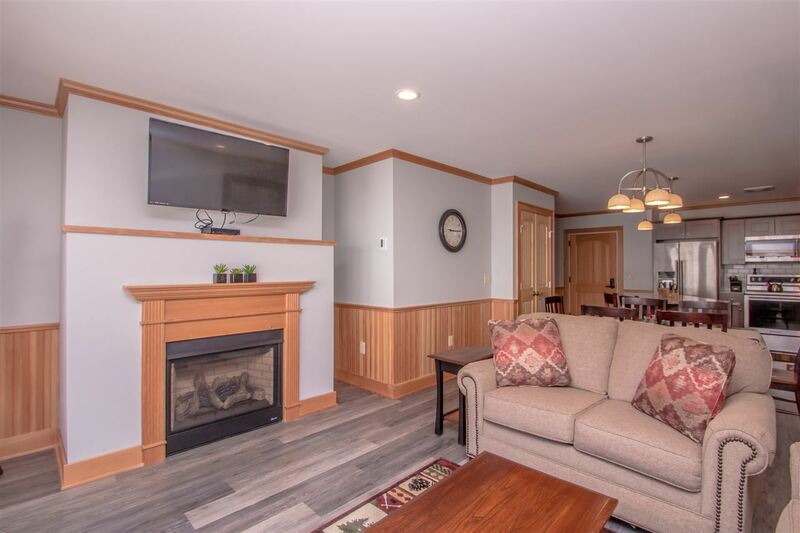 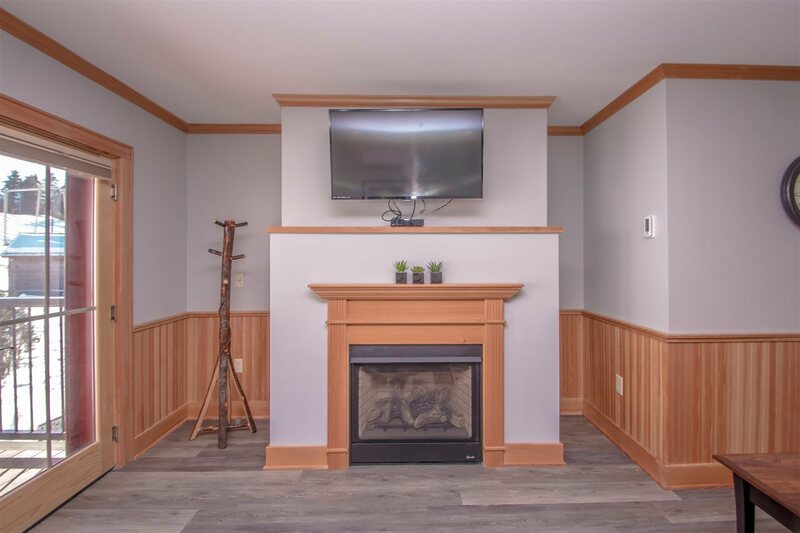 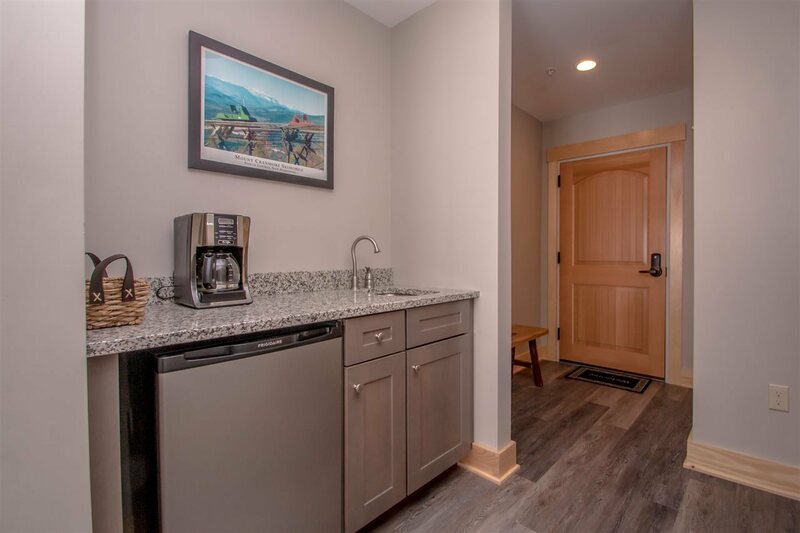 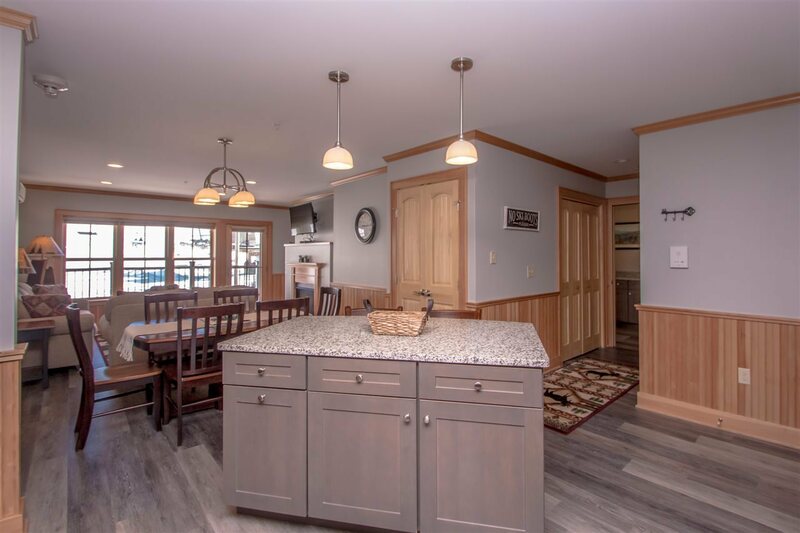 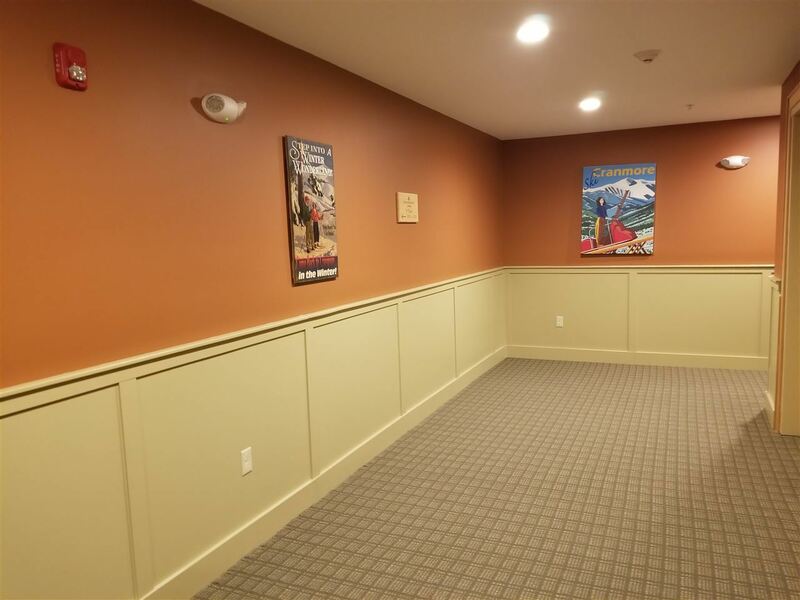 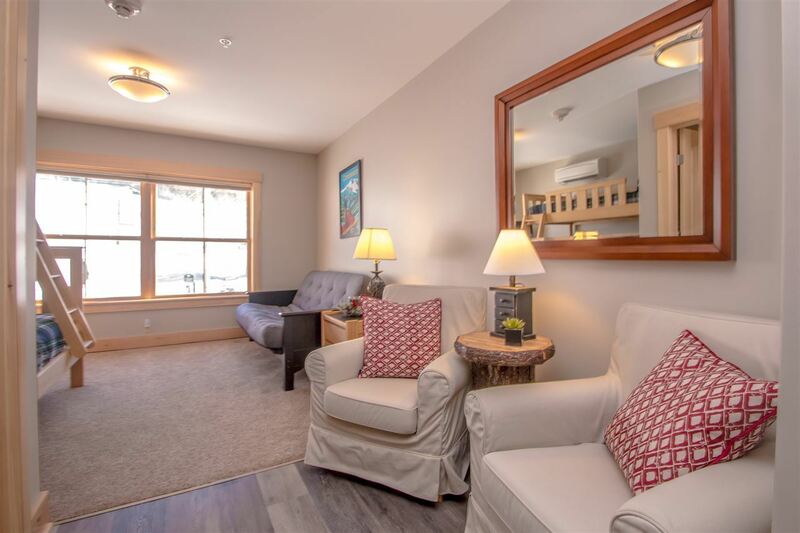 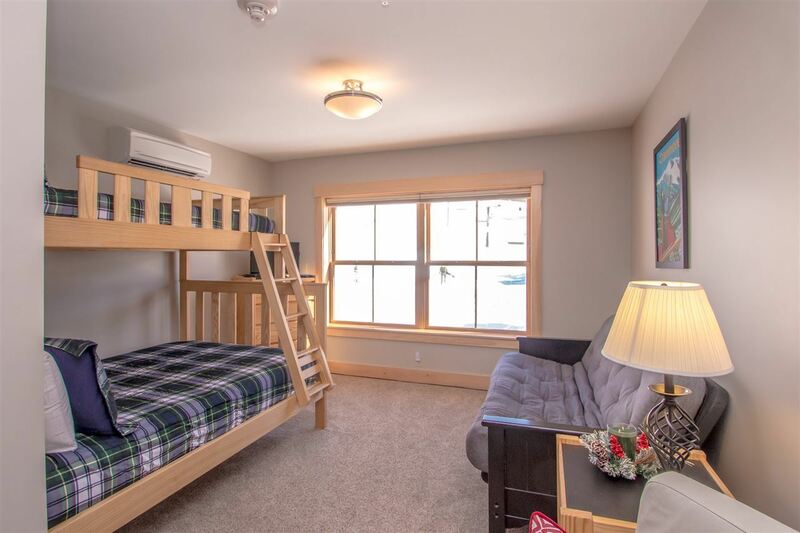 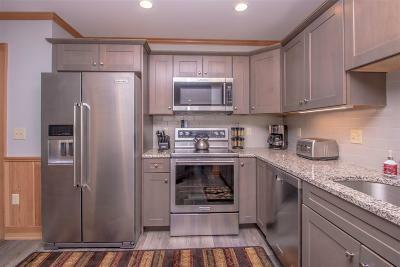 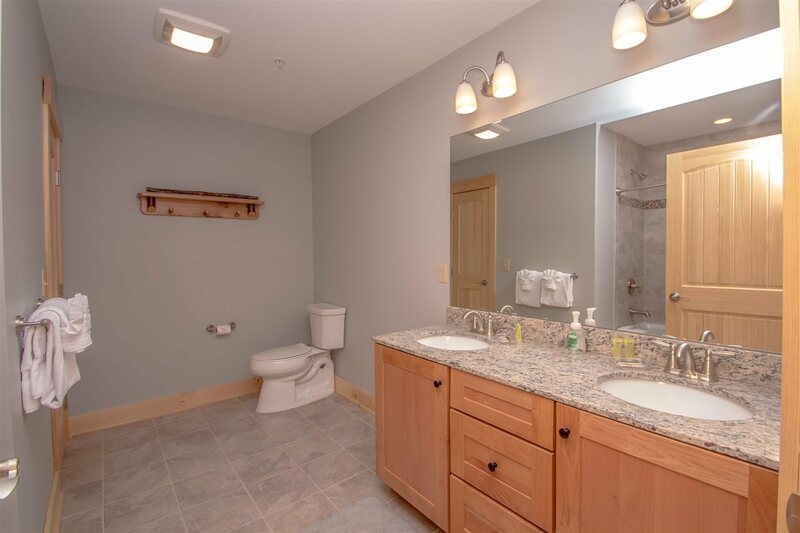 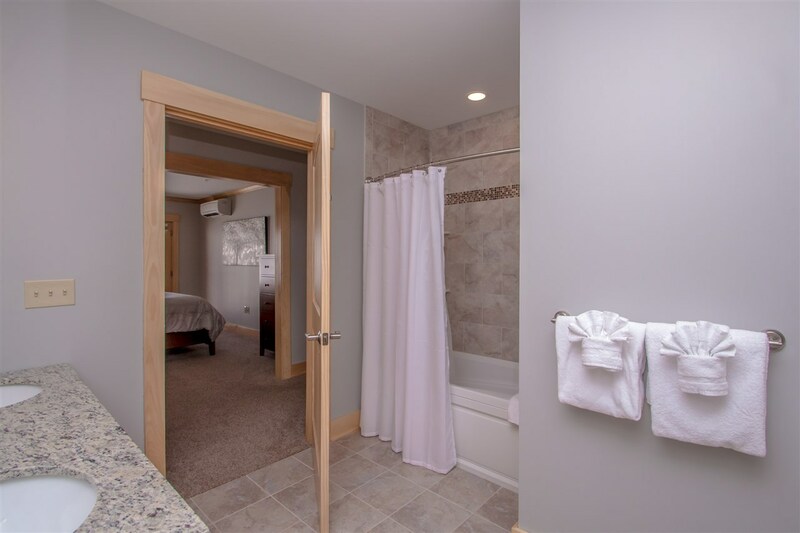 A convenient main floor ski locker room & elevator access from the carpeted lobby welcomes you in from the heated pavers and private gated parking lot. 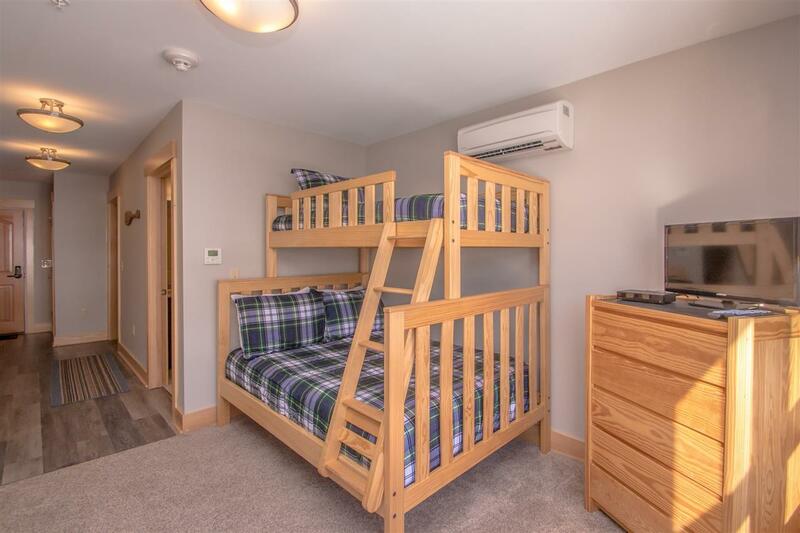 Building I is closest to the outdoor heated pool & hot tub area, South Quad & many summer fun amenities. 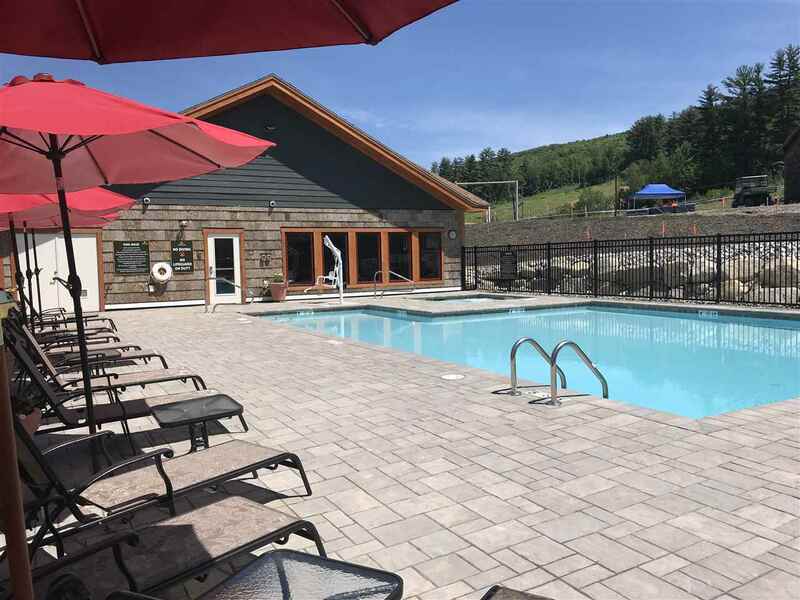 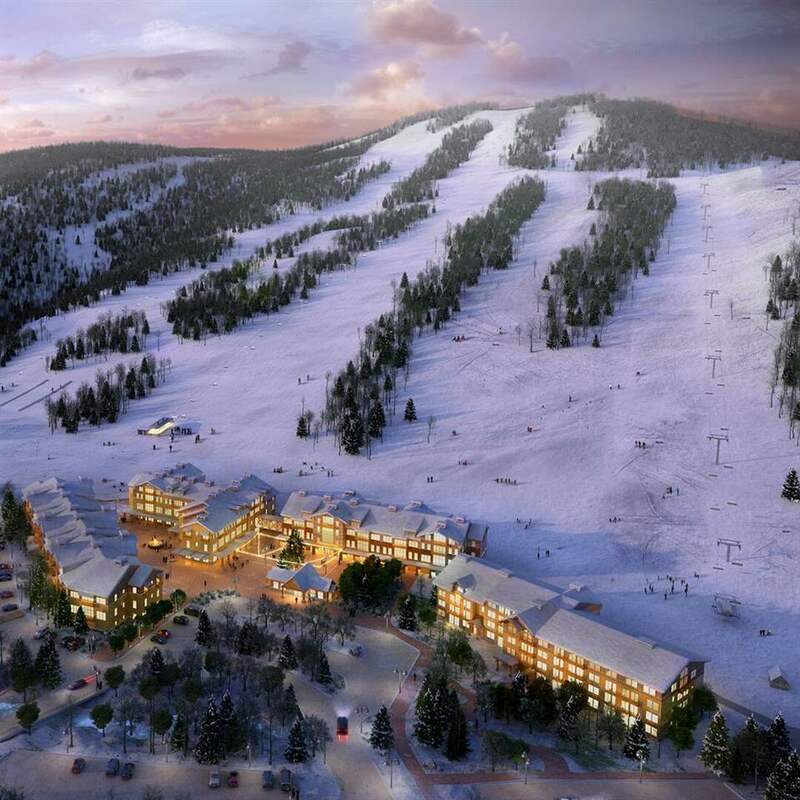 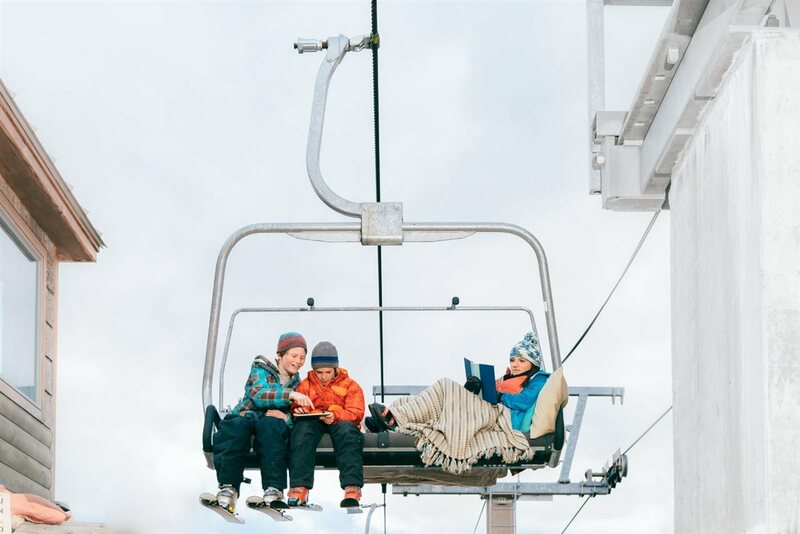 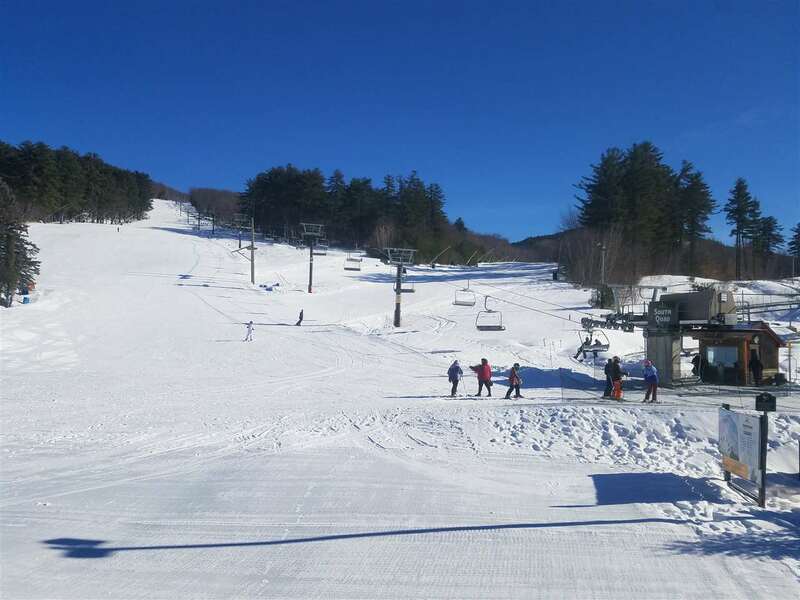 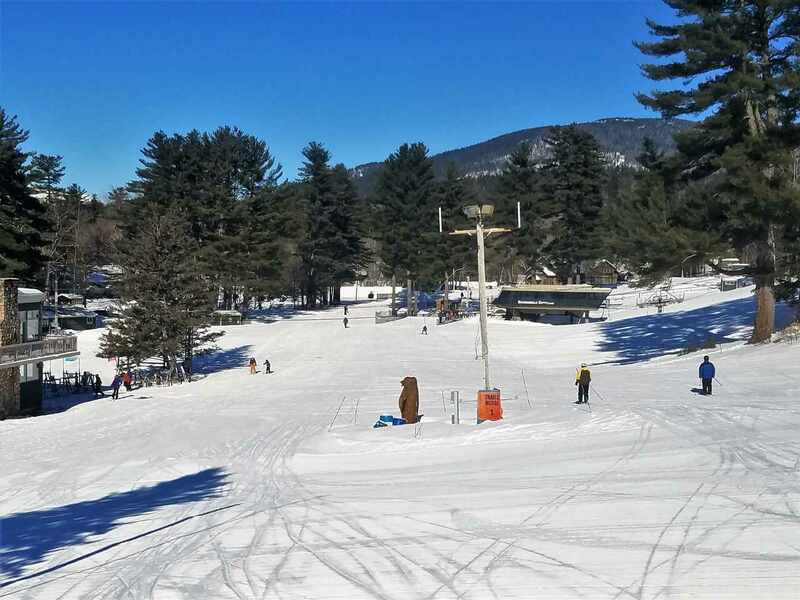 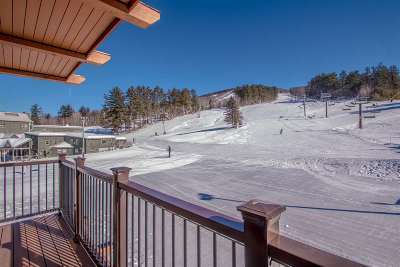 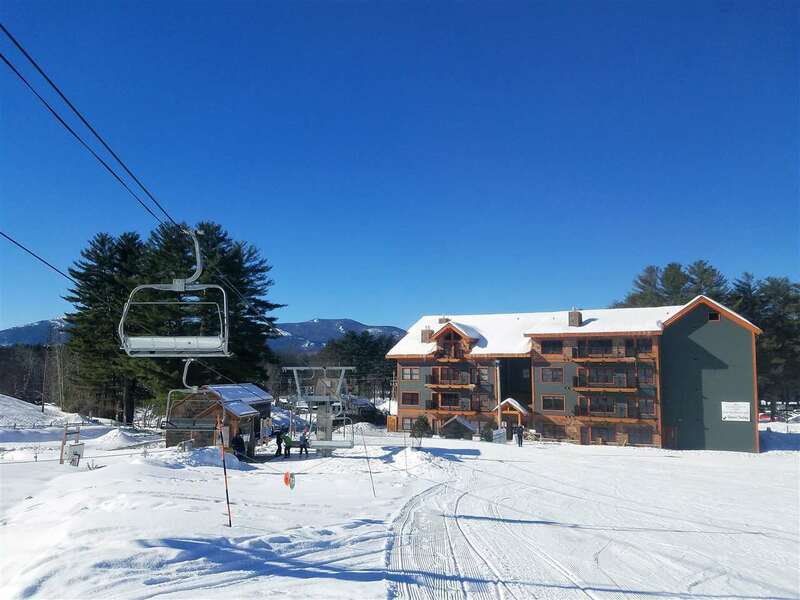 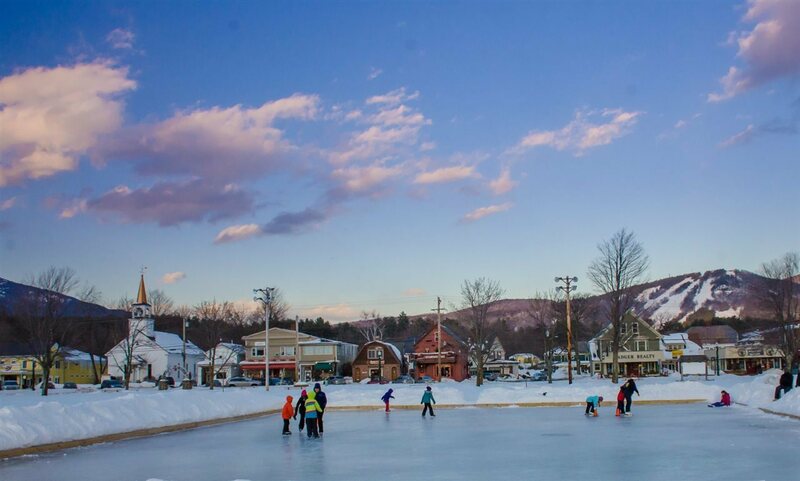 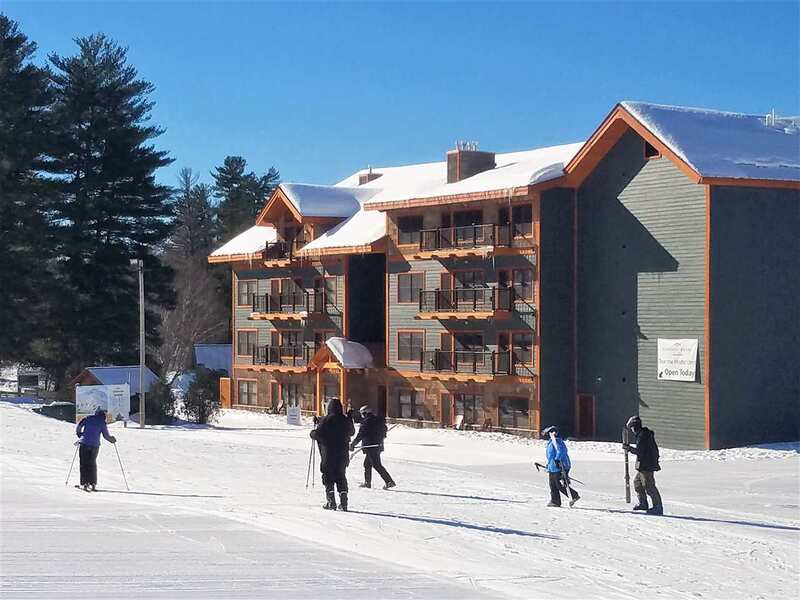 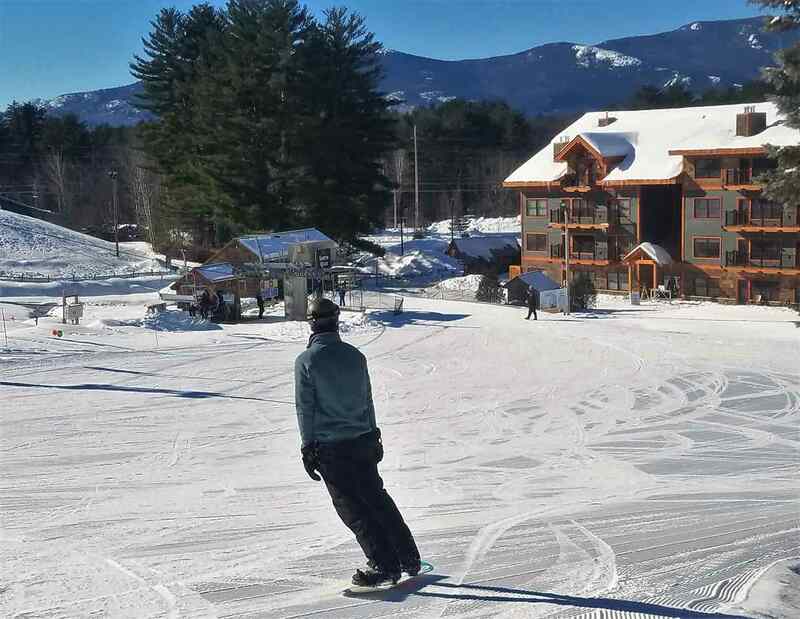 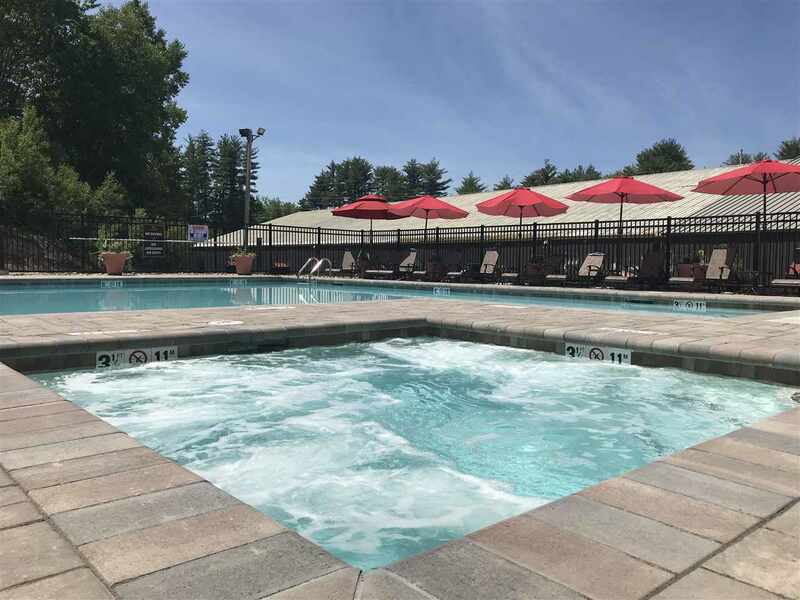 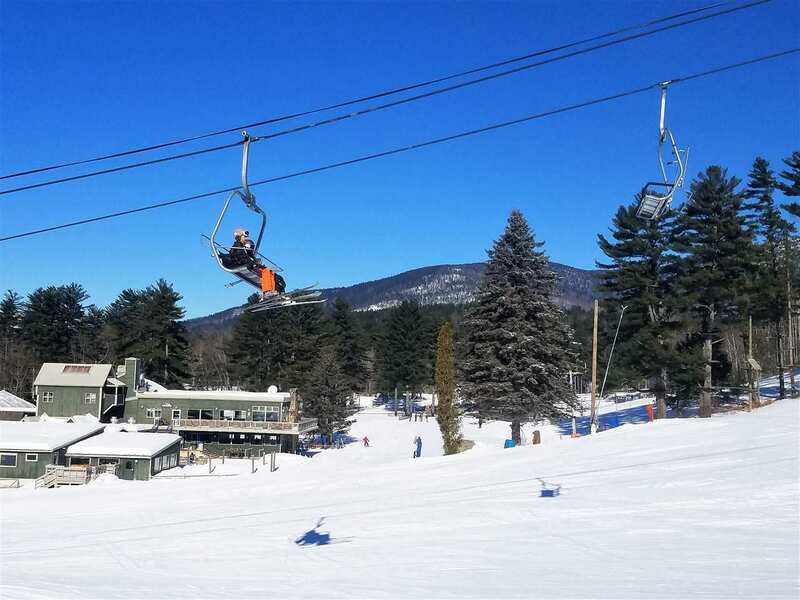 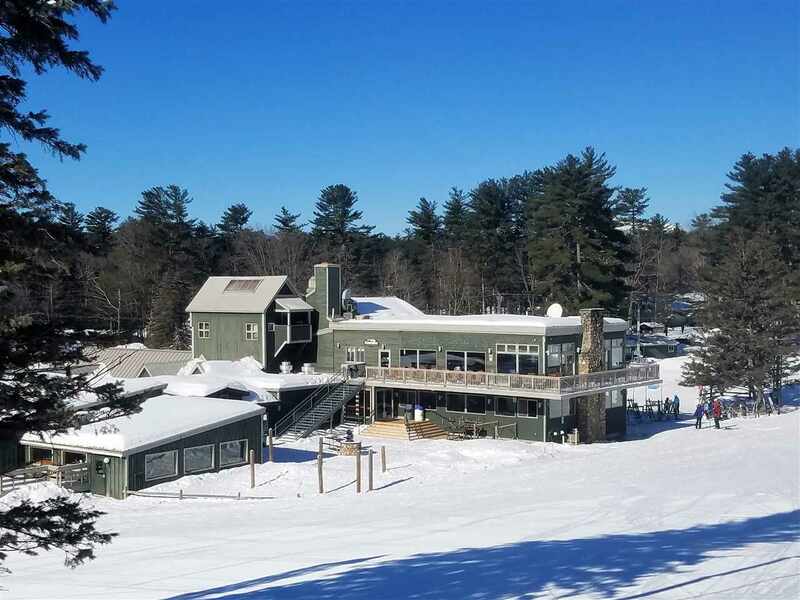 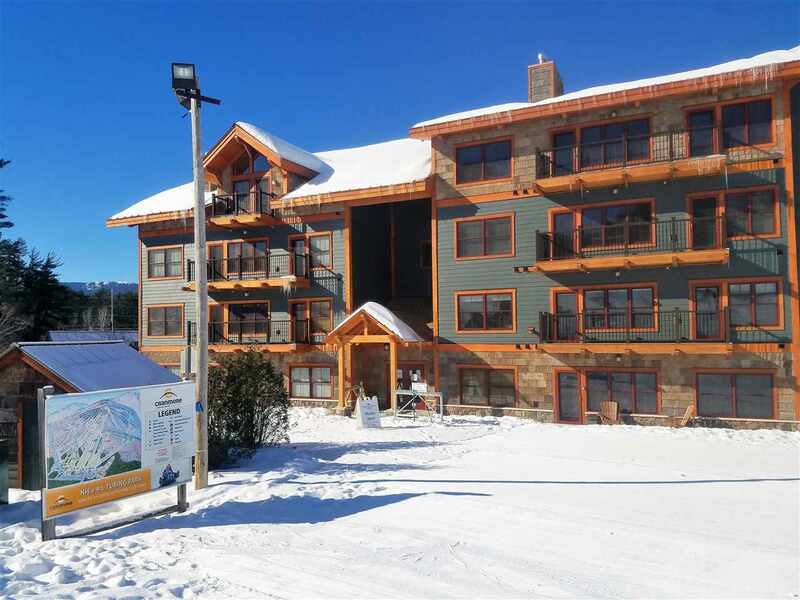 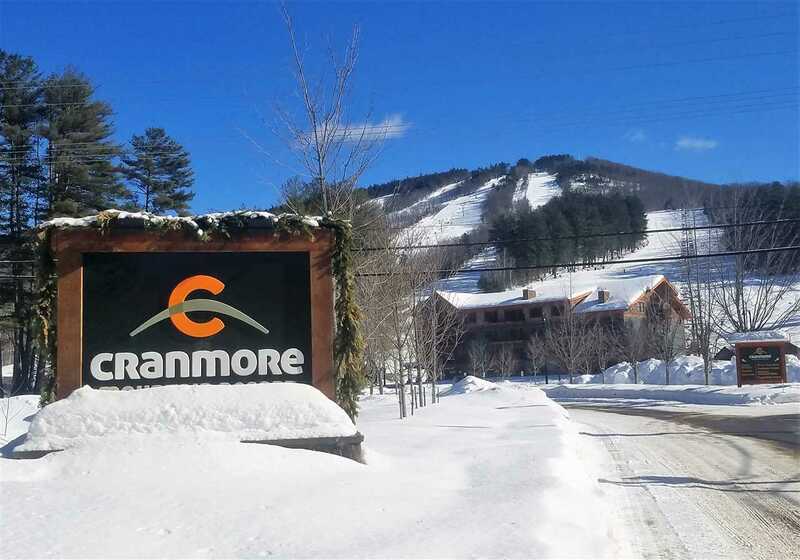 Cranmore Mountain is much more than a SKI Resort, it's a hop, skip and a jump on to year-round FUN, lift, base lodge, restaurant/pub and walking distance from quaint downtown North Conway Village in the heart of the Mt Washington Valley, NH.